Meet the locals, enjoy real Aotearoa with pickup & drop off in Wellington CBD! 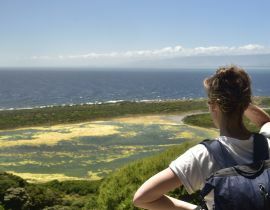 Kapiti Island is one of New Zealand's most important Nature Reserves, rich in conservation activity and history. You will enjoy the magnificent coastal scenery & total convenience of a guided day tour to the island from Wellington City. The tour departs Wellington daily at 7.00am bound for Paraparaumu Beach, roughly a 1-hour drive North. 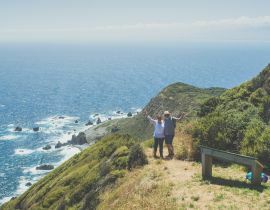 During this road trip, your guide will highlight points of interest and landscape, and explain the geographical and historical relationship between the Wellington and Kapiti Coast regions. 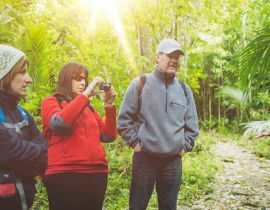 On arrival at Kapiti Island you will be greeted by your experienced nature guide who will tell you stories of the island's incredible ]history featuring heroic Maori warriors, as well as some of the world’s first dedicated conservationists. 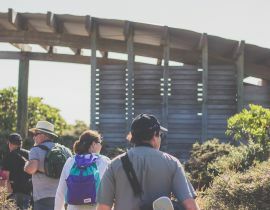 Your guide will walk with you and help you identify the flora and fauna around you as you enjoy a huge range of endemic New Zealand bird life. 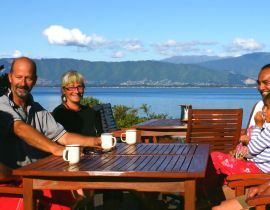 Enjoy a delicious cooked lunch with the whanau (family) at the Lodge, followed by independent walking, or relaxation! 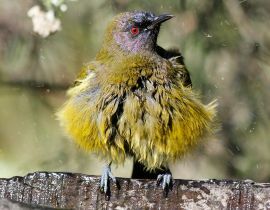 You can expect to see some of our most beautiful and endangered birds including kaka, takahe, hihi, korimako (bellbird), weka and more! This is New Zealand sightseeing and natural experience at its best. Our Rankers awards and reviews are confirmation that people truly love their experiences with us on the island. The ferry departs from the Kapiti Boating Club at approximately 9am with the trip across the flourishing Kapiti Marine reserve taking 20 minutes. 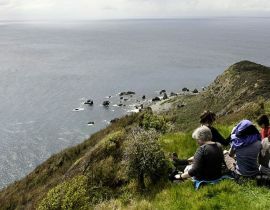 During this time you are likely to see seabirds and may even encounter seals or dolphins. The ferry returns from the island at approximately 3:00 pm, with arrival in Wellington CBD by approximately 5pm (traffic dependent). The rates are per person for 2 or more people. * If your trip is cancelled by the ferry skipper you could transfer your booking to another date (as long as the date is available) or you can request a full refund. 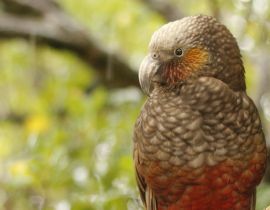 The opportunity to engage with some of our most beautiful and endangered New Zealand birds like Takahe, Kaka, Weka, Tieke (Saddleback), Kereru, Kakariki and Toutouwai (Robin).